A leading Canadian hotel company, Airline Hotels has been awarded as one of Canada’s Best Managed Companies, Saskatchewan’s Top 100 Companies, and Saskatchewan’s Top 20 Employers. Check out our award-winning President Betty Anne Latrace-Henderson and her entrepreneurial awards to the right. Airline Hotels is proud to be a Platinum Standard winner in 2018 and has been a Canada’s Best Managed Companies winner since 2011. Established in 1993, Canada’s Best Managed Companies program is the country’s leading business awards program, recognizing excellence in Canadian-owned and -managed companies with revenues over $10 million. Every year, hundreds of entrepreneurial companies compete for this designation in a rigorous and independent process that evaluates the calibre of their management abilities and practices. It is Canada’s most prestigious award to private businesses. 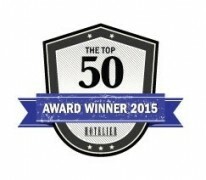 The Top 50 Companies Report ranks the most successful hotel companies in Canada’s lodging sector, based on their annual gross sales. It has quickly become the most authoritative barometer of activity and growth in the hotel industry. Since 1988, the Pinnacle Awards recognize foodservice and hospitality companies that demonstrate excellence in the areas of leadership, initiative and business. The Regional Company of the Year Award highlights innovation, creativity and successful business strategies. The full details of Airline’s accomplishments was highlighted in the December issue of Hotelier Magazine. Betty Anne Latrace-Henderson inducted into the Junior Achievement Business Hall of Fame of Saskatchewan. This program recognizes and celebrates business excellence in Saskatchewan. It provides the future leaders of our province with role models of excellence. 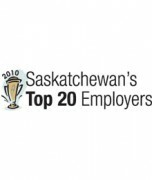 Saskatchewan’s Top 20 Employers is an annual competition organized by the editors of Canada’s Top 100 Employers. This special designation recognizes the Saskatchewan employers that lead their industries in offering exceptional places to work. Betty Anne Latrace-Henderson ranked 1st in 2009 Profit W100 Canada’s Top Women Entrepreneurs Awards. The PROFIT/Chatelaine W100 ranking and awards program is Canada’s largest celebration of entrepreneurial achievement by women. The PROFIT/Chatelaine W100 ranks female entrepreneurs by a composite score that considers the size, growth rate and profitability of the companies they own and manage. First published in 2002, the Mediacorp Canada’s Top 50 Employers for Young People competition is organized by the editors of Canada’s Top 100 Employers. This special designation recognizes the employers that offer the nation’s best benefits for younger workers. The employers on this list are Canada’s leaders in attracting and retaining younger employees to their organizations. SaskBusiness Magazine Saskatchewan’s Top 100 Companies is an annual competition organized by the editors of Canada’s Top 100 Employers, recognizing the Saskatchewan employers that lead their industries in offering exceptional places to work. 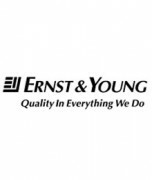 Betty Anne Latrace-Henderson named Ernst & Young Entrepreneur of the Year for 2010 Prairie’s Region. “This year’s Prairies finalists have transformed innovative ideas into viable, sustainable enterprises, created jobs and built thriving communities,” says David Boomer, Director of Entrepreneur Of The Year for the Prairies region. Airline Hotels included as one of Mediacorp Canada’s Best Employers for Recent Graduates in 2010. Annual guide includes a review of 1000 employers with outstanding entry-level recruiting programs. Betty Anne Latrace-Henderson receives the 2011 PROFIT Award for Excellence in Entrepreneurship at the RBC Canadian Women Entrepreneur Awards. The RBC Canadian Women Entrepreneur Awards are pre-eminent national business awards recognizing the country’s leading female entrepreneurs. The awards are an initiative of Women of Influence Inc.
Hilton Garden Inn Saskatoon awarded Tourism Saskatchewan Employer of Choice. This initiative is designed to help tourism businesses attract and retain staff. The program encourages employers to engage in best practices, increase staff training, improve human resources practices and become leaders in the tourism sector. Four Points by Sheraton Edmonton South awarded MPI Greater Edmonton’s award for Venue of the Year, which recognizes host facilities for excellence in food, service, décor and creativity during MPI meetings or events. Four Points by Sheraton Edmonton South receives AHLA Employer of Choice award from Alberta Hotel & Lodging Association, as 1 of 5 hotels to receive a 100% audit score. This designation distinguishes the Four Points as having solid and effective Human Resources practices. Travelodge Saskatoon awarded 2014 Referral Rewards Champion of the Year, with exceptional sales referrals from National Sales Manager, Sean Coleman. Four Points by Sheraton Edmonton South receives Housekeeping Award from Alberta Hotel & Lodging Association. Based on a combination of unannounced inspections, social media and a detailed breakdown of TrustScores, this award names the Four Points as among a select group of Alberta properties that achieved excellence in cleanliness, comfort and maintenance. 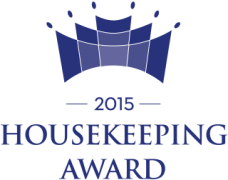 The Housekeeping award is a reflection of the Four Points’ commitment to providing visitors with a clean and comfortable accommodation. Travelodge Saskatoon awarded Tourism Saskatchewan Employer of Choice. This initiative, the first of its kind in Saskatchewan, is designed to help tourism businesses attract and retain staff. The program encourages employers to engage in best practices, increase staff training, improve human resources practices and become leaders in the tourism sector. Travelodge Saskatoon awarded the Human Resources Development Award with Tourism Saskatchewan. The Saskatchewan Tourism Awards of Excellence were established to recognize and foster excellence in the province’s tourism sector. Presented annually by Tourism Saskatchewan, the awards allow the industry to recognize those people, places, organizations, and events that have gone above and beyond to offer superior tourism experiences to visitors and residents. More than 100 nominations were received in the 15 award categories. Saskatoon Chamber of Commerce Honors Travelodge Saskatoon as Business of the Year. Travelodge Saskatoon honoured Travelodge Canada Property of the Year 2010. Travelodge Saskatoon receives SABEX Business of the Year Award 2010. The Greater Saskatoon Chamber of Commerce presents the SABEX awards for business excellence in Saskatoon. Winners are featured in the RBC Saskatoon Business Hall of Fame.